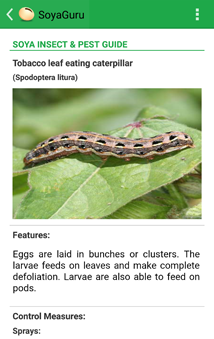 Farms.com is a major website in the world of Agriculture. It continuously provides valuable information to farmers mainly from the US and Canada. More than 25,000 agri-business professionals and farmers visit the website daily. 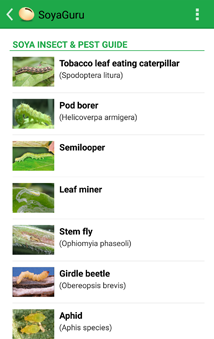 Farms.com has now entered the business of mobile applications. 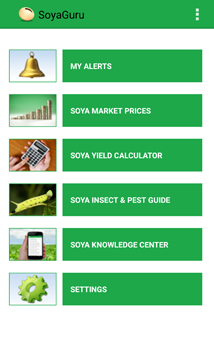 Farms.com presents the Soyaguru Mobile App, an application for Indian Soyabean Farmers. Soyabean is a major cash crop in India, commonly grown in the regions of Maharashtra, Madhya Pradesh and Gujarat. 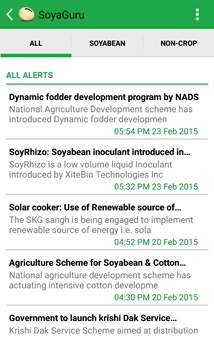 This app is completely dedicated to Soyabean farmers and provides the latest news, valuable information and alerts. 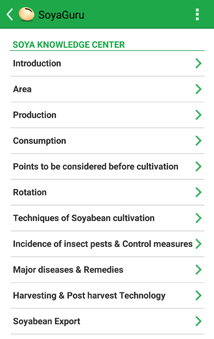 This app will provide regular information to farmers so they can support Soyabean crop management issues. SoyaGuru helps farmers increase their Soyabean yield, reduce cost and realise better prices for Soyabean crop. 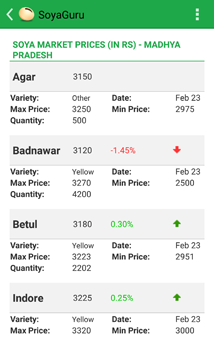 This app will be extremely useful and easy to use for Indian farmers, as many already own an Android device.